Accessible Seating tickets can be found in sections 4, 19, 21, 23, 24. Please choose one of those sections, click "Select Seats," and then click on the seats that will accomodate your needs. After touring the globe in 2018, we’re back with the You Got This Tour, an exciting reinvention of our world-famous live show! This adrenaline-charged event features the best athletes in FMX, BMX, Skate, Scooter and more, including multiple X Games medalists. We’ll attempt record-breaking feats and spectacular stunts for an action-packed show that is fun for fans of all ages. The You Got This Tour debuted last year in legendary arenas like London’s O2, but now we’re taking the roof off as the show moves outdoors for the first time. There are no limits! The huge stage set features the Giganta ramp – now with its biggest takeoff yet – launching riders five stories into the air. The all-star roster will also send it with jaw-dropping tricks you won’t see anywhere else, plus look out as our daredevils ride crazy new contraptions. With this crew anything can happen! This is the show you don’t want to miss, with more thrills, spills and fun than ever before. **VIP Experience - Fans can experience the action like never before with the all-new Nitro VIP Club. In addition to premiere seats, VIP Club pass holders now get to go behind the scenes with a pre-show track walk, plus have the opportunity to meet some of the riders during an autograph signing, receive a souvenir poster and a chance to win cool swag. 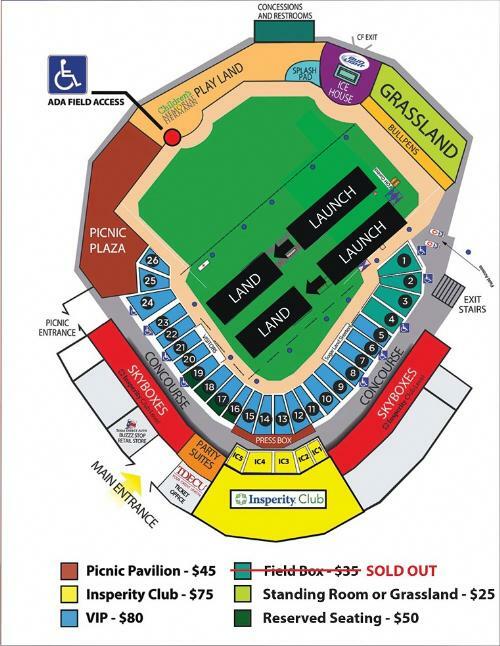 For more information, call the TDECU Ticket Office at Constellation Field at 281-240-4487 or visit www.NitriCircusMay4.com. The stunts performed in Nitro Circus Live are amongst the most dangerous in the world. When athletes are attempting insane stunts 40 feet in the air over a 75 foot gap, the weather conditions have to be perfect as the onset of rain, dew, wind or other factors could be fatal. That's why we are reserving one additional day (Sunday, May 5th) as a possible alternative show date in case we need to reschedule. When you buy your ticket, please check our website or ask your seller for the dates of the reserve days for the show you are interested in and, when you buy, make sure that you are available on the reserve days too in case we have to use them for a rescheduled show. If we do, there are no refunds. For Nitro Circus' full terms and conditions and our refund policy, please click https://nitrocircus.com/ticket-terms-and-conditions-for-the-nitro-circus-2019-north-america-tour/ or go to www.nitrocircus.com or ask your seller for a copy. The refund policy is also printed on the ticket. By proceeding with the purchase, you are agreeing to Nitro Circus' terms and conditions https://nitrocircus.com/ticket-terms-and-conditions-for-the-nitro-circus-2019-north-america-tour/ including the reserve day policy. Thanks for reading and enjoy the most spectacular show you'll ever witness!